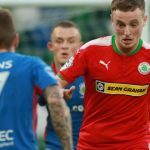 Chris Curran says Cliftonville must not let this week’s snow-enforced break halt their momentum when they face Glentoran at Solitude tomorrow. 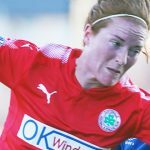 The Reds enter the Danske Bank Premiership contest on the back of six consecutive wins in a sequence that has yielded 13 victories from 15 outings but, following the postponement of scheduled showdowns with Glenavon and Ballymena United, Curran has warned his team mates against taking their eyes off the ball. “What we need to make sure of is that we don’t allow the last couple of weeks to undo everything we’ve put together,” he explains. 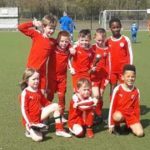 “When you’re on the sort of run we’ve been on, you just want to keep going, keep building momentum and taking that with you into the next match. You can read the full Curran interview in tomorrow’s edition of our Matchday Magazine, which will be on sale at Solitude for £2.50. 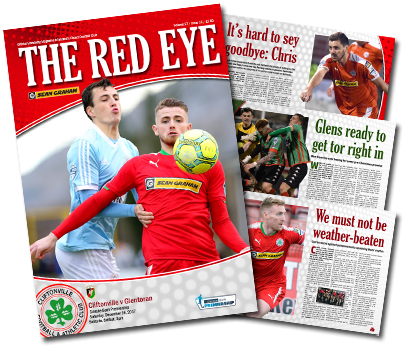 Alongside boss Barry Gray’s pre-game views, The Red Eye’s latest issue reviews the Glens’ season to date, provides your latest player poster and catches up with Chris Ramsey as he bids the Club farewell ahead of a fresh start at Larne – plus plenty more besides. 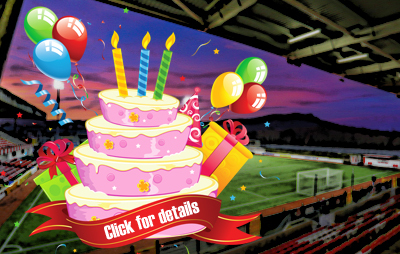 Our Matchday Magazine has attained a top-three position in the NI Football Programme Collectors’ annual awards poll for the last six seasons so, if you’re not a regular reader, why not take a look at what you’ve been missing out on?